Having completed a Masters of Music Performance at the University of Melbourne studying with Christian Wojtowicz, Michelle Wood has performed with ensembles such as the Australia Pro Arte Chamber Orchestra, Orchestra Victoria, Melbourne Youth Orchestra, the Australian Classical Players, the Australian Youth Orchestra and the Australian Pops Orchestra. An experienced chamber musician, Michelle toured Asia and Australia with the Young Piano Trio of Melbourne in 2002 and in 2003 she appeared in the closing recital of the Melbourne Autumn Music Festival. 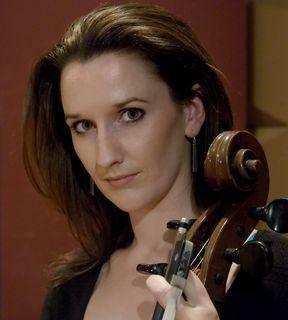 In 2004, Michelle was one of only four Postgraduate Music students who received an Australian Postgraduate Award as well as the Gwen Prokter Violoncello Prize in 2003 as best final year cello graduate. Currently cellist with the Tinalley String Quartet, Michelle was involved in the ensemble’s prize-winning performance at the 2007 Banff International String Quartet competition.